Dr. Counts received his M.D. 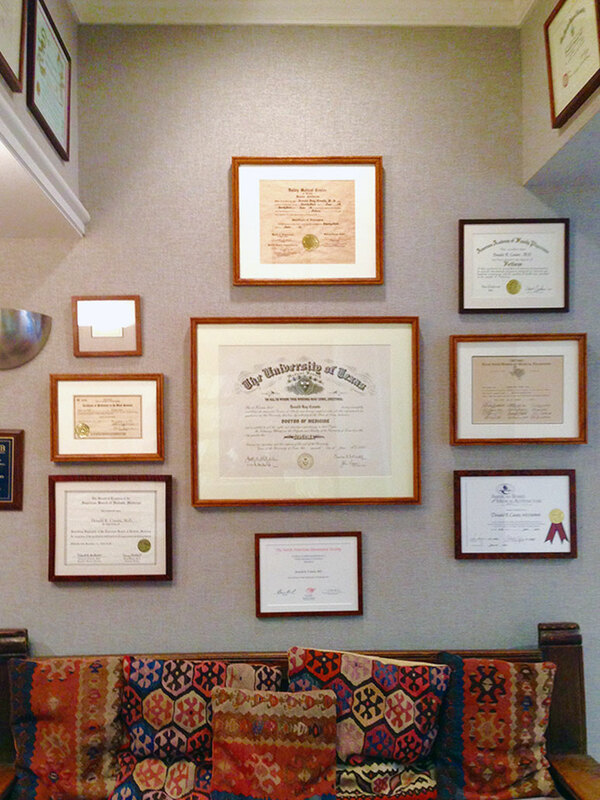 degree from the University of Texas Medical Branch (UTMB) at Galveston. He is a Fellow of the American Academy of Family Practice. 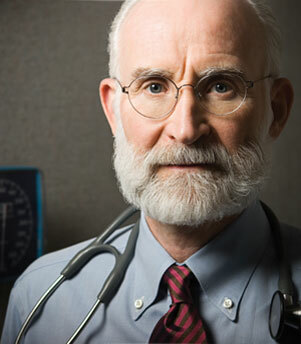 He is board certified in Integrative Medicine by the Academy of Integrative Heath and Medicine (ABIHM). He is also board certified in Medical Acupuncture by the American Academy of Medical Acupuncture (ABMA). Dr. Counts serves as a Clinical Assistant Professor in Family Medicine to medical students and residents in Austin for UTMB Galveston. He was an early advocate and organizer of the Health Alliance of Austin Musicians (HAAM). As a member of the Performing Arts Medical Association (PAMA), he has a special interest in caring for musicians and performing artists in the Austin area and has been a volunteer clinician for Project Access, MusiCares and the SIMS Foundation. After moving to Austin, TX in 1975, Dr. Counts established his practice in family medicine which is structured to deliver a high level of personalized attention to his patients offering an objective approach to each complaint. He is also one of the first physicians in Austin to offer medical acupuncture. Dr. Counts has been a member of the American Medical Association, the Texas Medical Association, and Travis County Medical Society for over 30 years. Recognized for his expertise in the field, Dr. Counts has consulted for multiple Texas Medical Association conferences on the topic of alternative and complementary therapies in health and wellness in medicine. He has consulted and lectured at universities, hospitals, and for various health care associations on the subject of integrative medicine and adding spirituality to the practice of medicine. As a delegate to the Texas Medical Association (TMA) in 1998, he introduced a resolution to the House of Delegates of the TMA with the support and direction of the Travis County Medical Society delegation about the pros and cons of alternative therapies. The resolution provided the framework to begin formal training of medical doctors in Texas in various integrative medicine techniques. Dr. Counts has contributed to the Travis County Medical Society Journal and Texas Medicine, the journal of the Texas Medical Association. In addition to the numerous medical writings, he also is co-author with his wife, Kathryn, of A Texas Family's Cookbook, a collection of recipes for healthy and satisfying Southwestern cuisine. Further, he was consultant to the Continuing Medical education joint project of Texas Medical Association and to the American Botanical Council's Healthcare Professionals Guide to Commonly Used Herbs. Dr. Counts served as an early consultant and supporter for the initiation of Explore-The Journal of Science and Healing and serves on the editorial board. He and Kathryn have been married for 35 years and have three children and eight grandchildren. Traci joined "Dr. 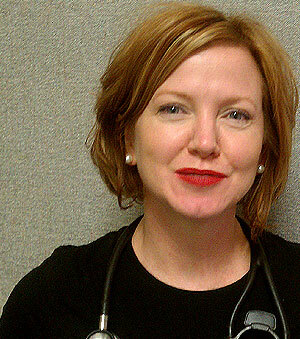 Counts Family Practice" in April of 2011. She graduated with a Bachelor of Arts in Psychology from the University of Texas at Austin in 1996, and went on to attain her Master of Medical Science in Physician Assistant Studies at Emory University Medical School in Atlanta, Georgia in 2009. Traci is certified by the National Commission on Certification of Physician Assistants and is a member of the Central Texas Physician Assistant Society, Texas Academy of Physician Assistants, and American Academy of Physician Assistants. She grew up in Dallas and has a special interest in nutrition and exercise.